Following our discussion of these songs, I did a quick search on the concept of harm reduction, which seems a logical practice to address addiction. I was surprised to learn that it seems to be a relatively new strategy from the late-twentieth century and there’s resistance to its implementation. I found an article by a G. Alan Marlatt, “Harm Reduction: Come As You Are,” Addictive Behaviors 21, 6 (1996): 779–788 that seems to summarize the harm reduction approach. I’m not sure how fundamental his work is to the field but he provides a good overview, plus I like his title, which seems appropriate following our music session since it also alludes to a Nirvana song. Another relevant article is Bernadette Pauly’s “Shifting moral values to enhance access to health care: Harm reduction as a context for ethical nursing practice,” International Journal of Drug Policy, 19, 3 (2008): 195–204 that highlights the disconnect of implementing strategies of harm reduction and real-world healthcare practice, and the larger question of ethics for practicing nurses. I’ve included the abstracts below. The purpose of this paper is to describe what harm reduction is, how it developed, how it works, and why it is becoming a major approach in the addictive behaviors field. Based on principles of public health, harm reduction offers a pragmatic yet compassionate set of strategies designed to reduce the harmful consequences of addictive behavior for both drug consumers and the communities in which they live. To illustrate how harm reduction has been applied to both the prevention and treatment of addiction problems, highlights of a national conference on harm reduction are presented. 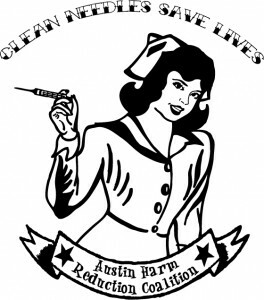 The historical roots of harm reduction programs in Europe (Netherlands and the United Kingdom) are described. The paper concludes with a discussion of four basic assumptions central to harm reduction: (a) harm reduction is a public health alternative to the moral/criminal and disease models of drug use and addiction; (b) it recognizes abstinence as an ideal outcome but accepts alternatives that reduce harm; (c) it has emerged primarily as a “bottom-up” approach based on addict advocacy, rather than a “topdown” policy established by addiction professionals; and (d) it promotes low threshold access to services as an alternative to traditional high threshold approaches. People who are street involved including those experiencing homelessness and substance use are at increased risk of morbidity and mortality. Such inequities are exacerbated when those facing the greatest inequities in health have the least access to health care. These concerns have rarely been addressed in bioethics and there has been a lack of explicit attention to the dominant societal and organizational values that structure such injustices. The purpose of this paper is to describe the underlying value tensions that impact ethical nursing practice and affect equity in access to health care for those who are street involved. In this paper, findings from a larger qualitative ethnographic study of ethical practice in nursing in the context of homelessness and substance use are reported. The original research was undertaken in two ‘inner city’ health care centres and one emergency department (ED) to gain a better understanding of ethical nursing practice within health care interactions. Data were collected over a period of 10 months through face-to-face interviews and participant observation. In order to facilitate access to health care for those who are street-involved nurses had to navigate a series of value tensions. These value tensions included shifting from an ideology of fixing to reducing harm; stigma to moral worth; and personal responsibility to enhancing decision-making capacity. A context of harm reduction provided a basis for the development of relationships and shifted the moral orientation to reducing harm as a primary moral principle in which the worth of individuals and the development of their capacity for decision-making was fostered. 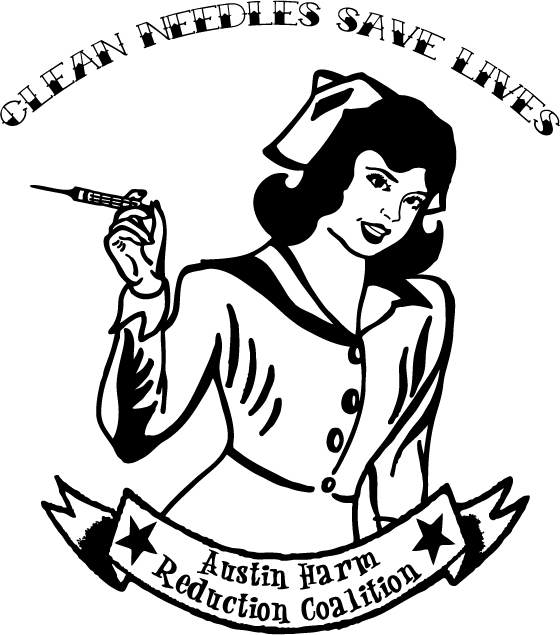 Implementation of a harm reduction philosophy in acute care settings has the potential to enhance access to health care for people who are street involved. However, explicit attention to defining the harms and values associated with harm reduction is needed. While nurses adopted values consistent with harm reduction and recognized constraints on personal responsibility, there was little attention to action on the social determinants of health such as housing. The individual and collective role of professional nurses in addressing the harms associated with drug use and homelessness requires additional examination. This entry was posted in Uncategorized and tagged addiction, harm reduction, music. Bookmark the permalink. Regarding harm reduction, in Community Health Nursing, students had an assignment to go to the Brooklyn Historical Society. Once there, they were to take a look around at the exhibits representing the evolution of Brooklyn with regard to health issues/topics. They needed to write a paper about their experience, discussing the health issue as they heard, saw/read, listened to it, the issue as it stands today in Brooklyn, and the role of the nurse in addressing the issue. Students came away with the following: 1) display and chronicles describing the outbreak of HIV/AIDS as a ‘gay’ plague during the 1980s, 2) the roll of the American Red Cross in fighting and containing the spread of HIV/AIDS in Brooklyn, 3) exploring the journals of Gabriel Furman, a 19th Century Brooklyn chronicler who became addicted to opium as a misconceived preventative against the rampant yellow fever and cholera that killed New Yorkers, 4) a look at mental illness and the investigations that revealed its cruel and inhumane institutionalization of New Yorkers , 5) a pictorial of smoking as an addition glorified by media, 6) the evolution of the harm of obesity, and the influence of culture and poverty on the harming effects, 7) the role of the American Red Cross in the 1918 influenza epidemic, and the evolution of immunizations to prevent public health threats, 8) the transformation of the ship Jersey into a prison ship used for American solders, 11,000 who died within a short period of time due to dysentery, 9) screening and primary prevention regarding sexually transmitted diseases during World War I, 10) death by smallpox, meningitis, cholera and diptheria of the immigrant builders who worked on the Brooklyn Bridge. Might I recommend a visit to the Brooklyn Historical Society? There, we can weave what we have learned of the arts into our view of the state of the science in the health professions, while experiencing where we work through the lenses of the past to better inform our current and future worlds.